Dr. Lee is a native to the east coast, born and raised in New York City. Studies first brought her to Boston University, where she completed a Bachelors Degree in Biology. Soon an interest in dentistry developed, and she moved to Northern VA to pursue a Dental Degree at Howard University. 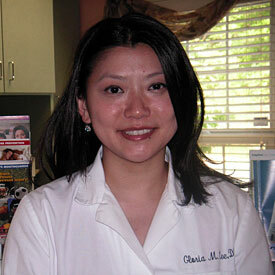 Dr. Lee then completed an Advanced General Dentistry Program at University of Maryland, Baltimore College of Dental Surgery in June 2007 and has decided to settle in Montgomery County.